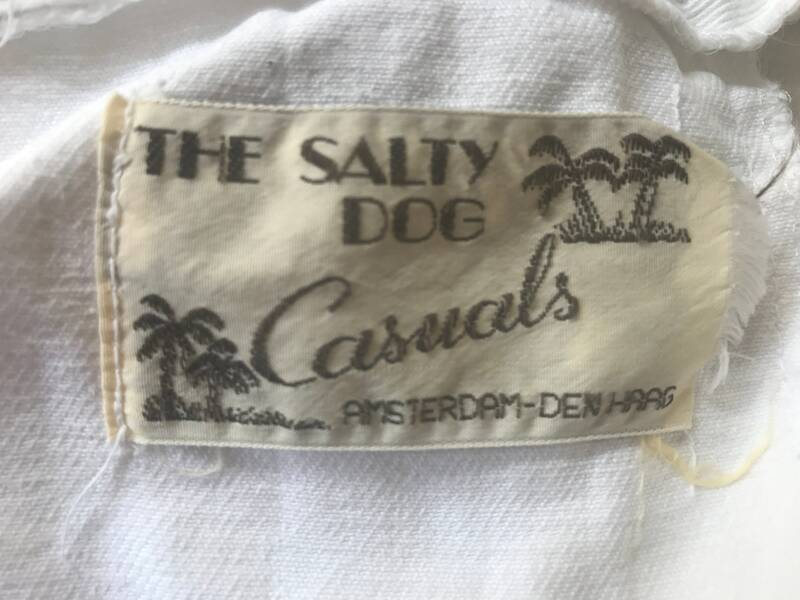 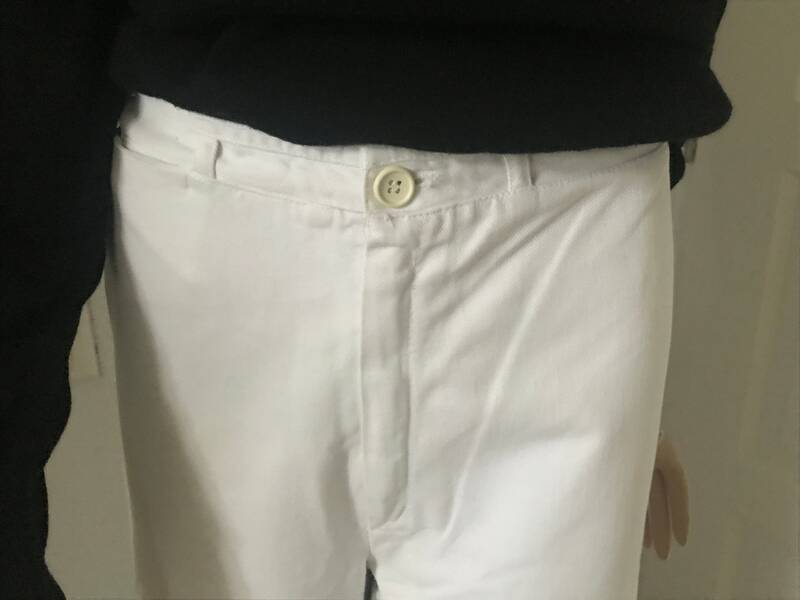 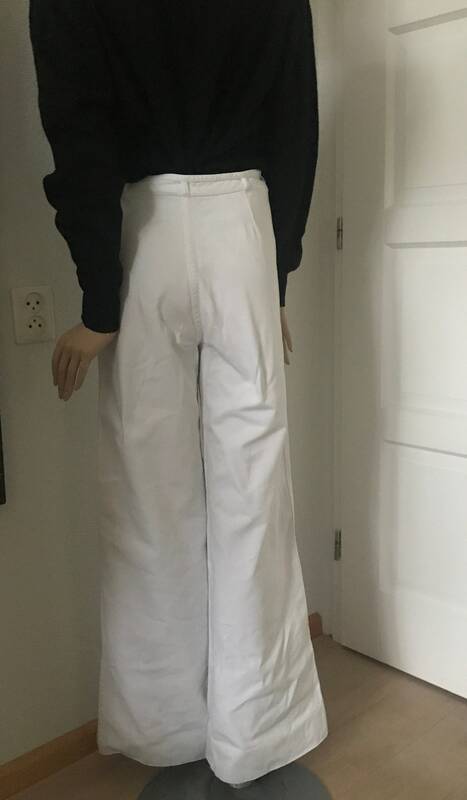 This is a vintage white flared jeans, Dutch label Salty Dog Amsterdam Den Haag. 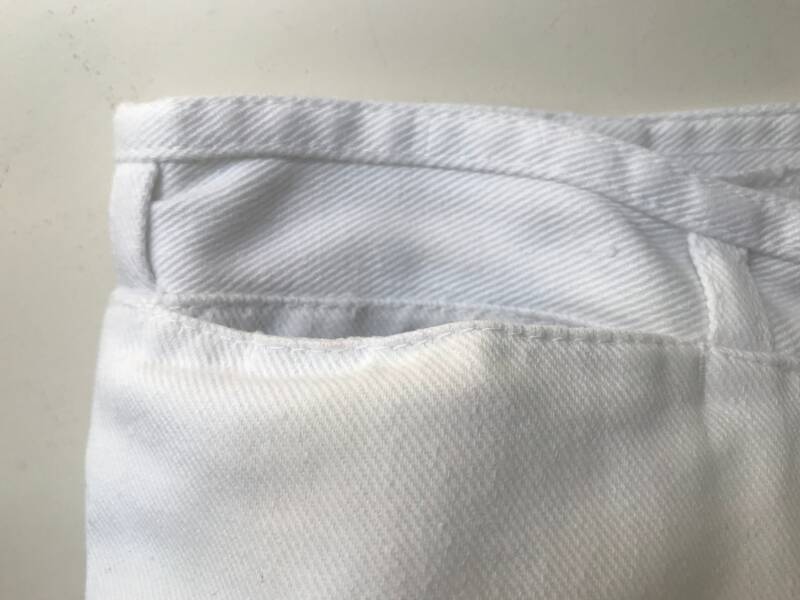 No size label but fits an EUR 36/38. 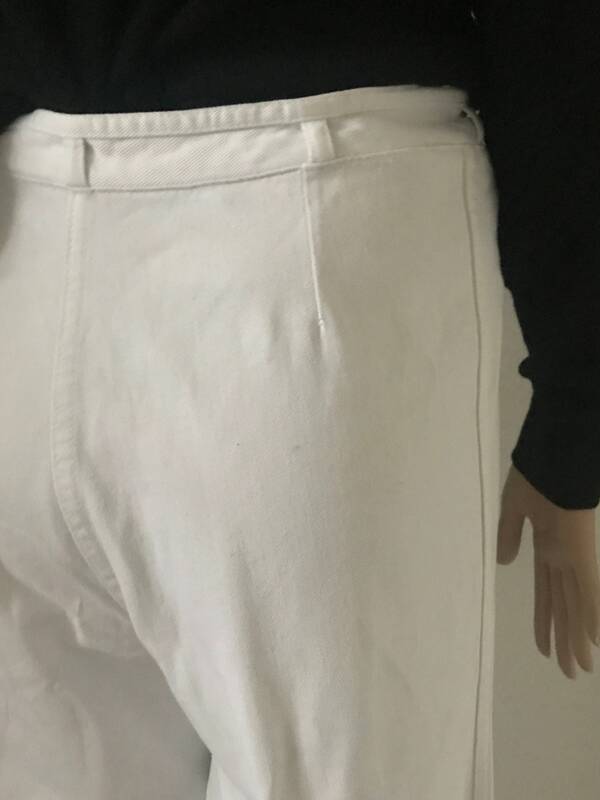 UK and US 10/12. 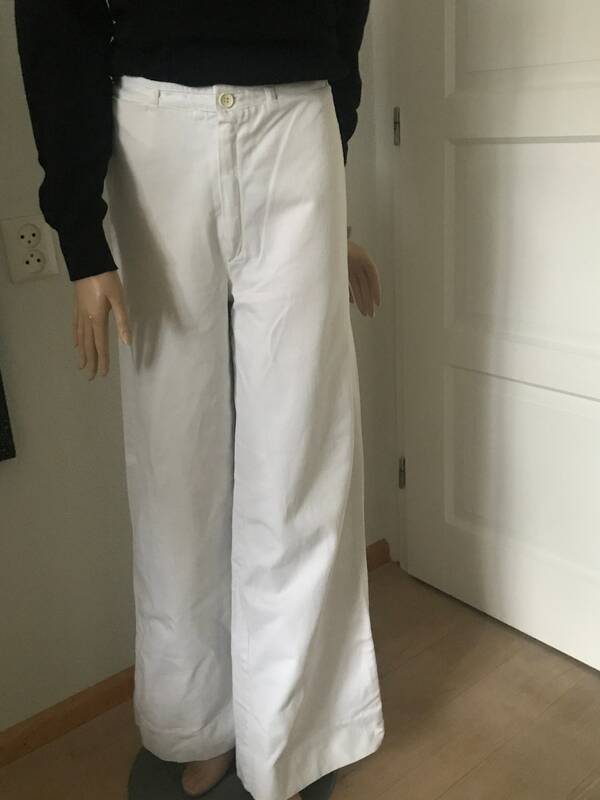 The model is very seventies because of the high waist and the flared legs.